We're feeling giddy as we get ready for bed, like a pair of kids about to spend the night inside a brand new couch-cushion fort. We're headed outside, so Tyler and I bundle up in our coziest clothes, layering on our merino wool, hoodies and scarves. Then, after we've stuffed a small green backpack with water, tissues and a pair of headlamps, we slink out the back door. 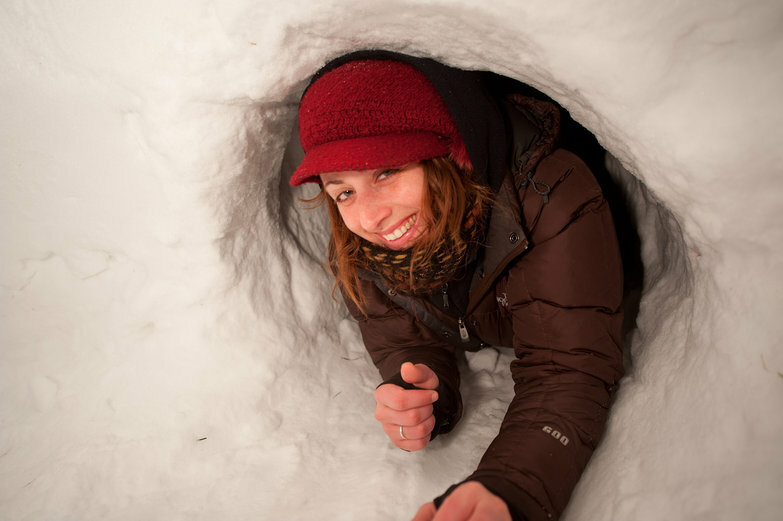 Our fort isn't made of blankets and chairs, it's a real, live igloo! Man it's cold tonight, I observe, as our feet crunch over trampled snow on the path to our destination. 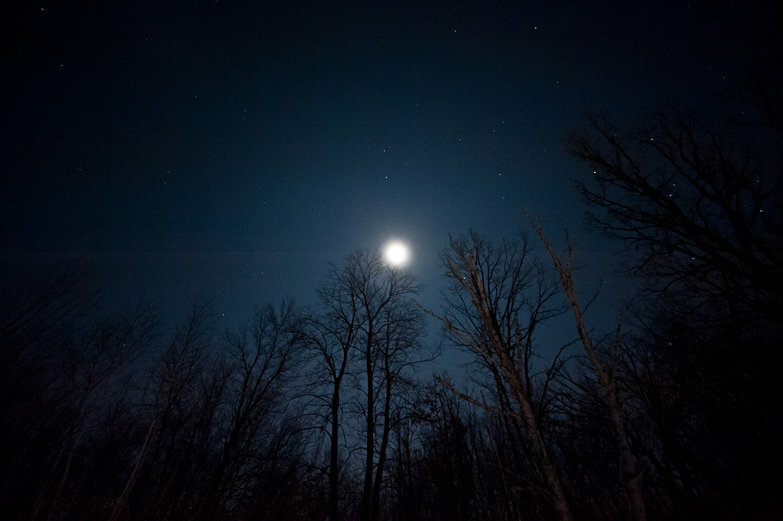 Above us, the moon shines radiantly, the stars around it sparkling like shards of ice. 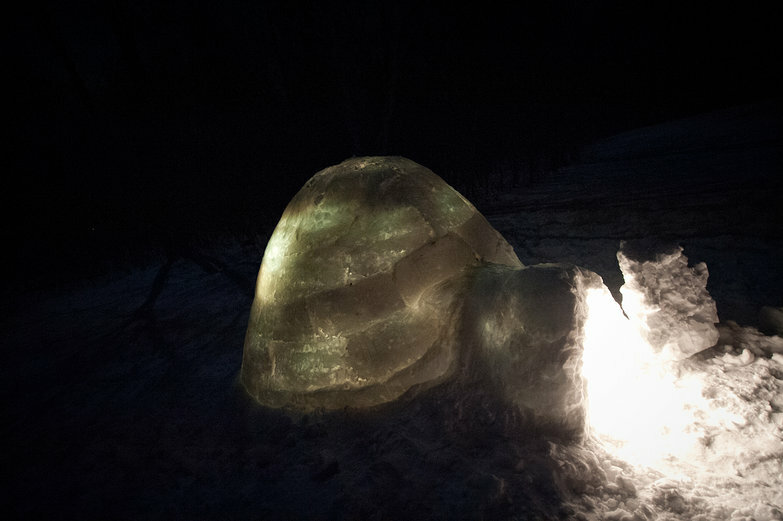 For a moment I question whether this sleeping-in-an-igloo idea is really a good one, but my concerns are quickly replaced with yet more excitement—I've been waiting for this night all winter. I don't care if it's cold, we're sleeping in our igloo! There it is, awe-inspiring and glowing from within (earlier this afternoon, Tyler put the lights from our lightbox inside). 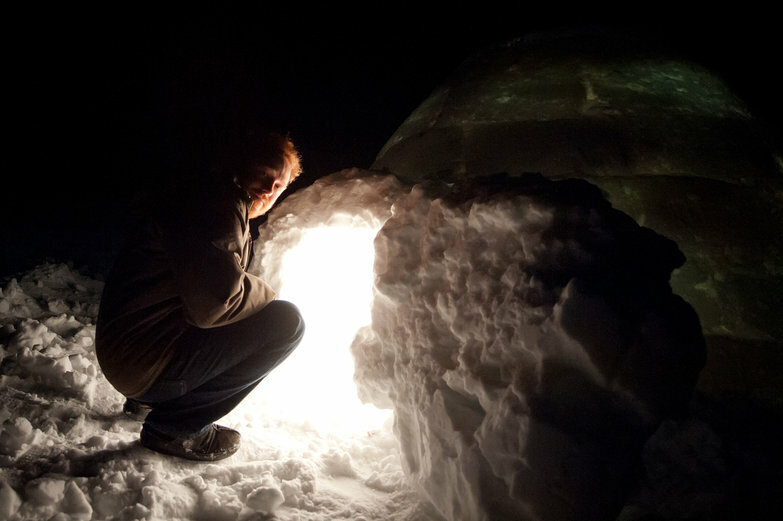 As we approach our hand-made igloo, I gasp with child-like delight and do a shivery little dance. I am the snow queen! This rules. Tyler slips in first and I follow close behind, crawling on my elbows, shimmying my way through the narrow entrance. A few moments later, we're sitting inside our brilliantly lit, snow-dome of a home. How cool is this!? 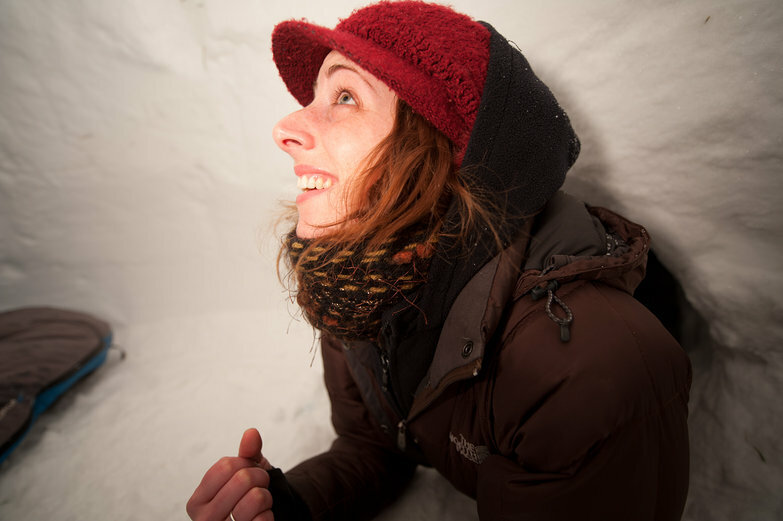 The thick snow-packed walls provide quite a bit of insulation. 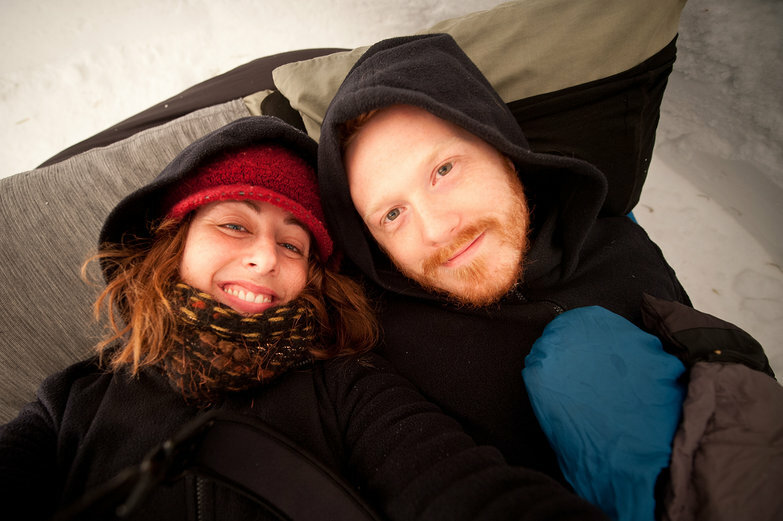 With our down-filled sleeping mats and sleeping bag, we should stay warm tonight. After admiring our work for a minute (thank you again for the help, Alex! ), we switch off the lights, burrow deep into our sleeping bag, and settle in for a long winter's nap.